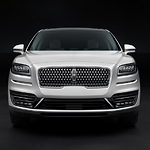 The all-new Lincoln Nautilus is sure to turn heads wherever you go. This new luxury crossover is available to Newport News drivers at Hall Lincoln. It's beautifully designed inside and out and comes with some standout features that will enhance your drive. Lincoln is known for using the finest materials inside their vehicles. The Lincoln Nautilus is no different. The comfortable cabin is available with wooden accents. The genuine wood material is stained and sealed for protection. You can get hues like Walnut, Espresso Ash, and Gray Ash. They complement the stylish seating. High-quality materials, like Bridge of Weir leather, are available. One feature that everyone can enjoy while you're cruising on the open highway is the Panoramic Vista Roof. The roof is comprised on multiple panels that extend to the rear seats. The front panel acts like a traditional powered moonroof. It can be tilted and opened with a press of a button. It also has a powered shade for those days when you want to block out natural sunlight.